The Yale Linguistics Department’s Language & Brain Lab hosted the Meaning in Flux workshop from October 12 to 14. Organized by Professor María Piñango; graduate students Martín Fuchs, Sara Sánchez-Alonso, and Andy Zhang; and undergraduate Jisu Sheen, the workshop brought together semanticists, pragmatists, cognitive scientists, and philosophers to discuss the nature of variation and change in meaning. Ashwini Deo of the Ohio State University, Lyn Frazier of the University of Massachusetts Amherst, Ray Jackendoff of Tufts University, Ann Senghas of Barnard College, and Mandy Simons of Carnegie Mellon University gave invited talks. Linguists have observed that in many cases, variation in meaning across space and time is not arbitrary, but conforms to certain systematic patterns. The goal of the workshop was to discuss where these patterns come from, and how they can shed light on the nature of meaning in language. Workshop participants approach the question of meaning in several different ways. Descriptive linguists, for example, interview native speakers of a particular language and attempt to describe the meanings of certain difficult or interesting words in that language. Many scholars conduct these interviews on a large scale, sending surveys to hundreds of people at a time over the Internet. 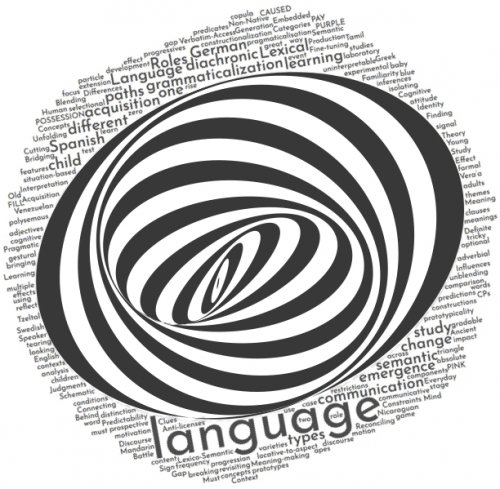 Language theorists, on the other hand, take the observations of descriptive linguists and try to develop theories describing the general principles governing meaning in language. Some theorists attempt to combine existing theoretical frameworks, giving them a way to interact with one another. And yet others, including Yale’s Language & Brain Lab, use experimental techniques from psychology and neuroscience to try to uncover the mechanisms by which meaning is represented and used in the brain. The presentations at the workshop included research conducted from all of these different approaches. In total, twenty-nine talks were given at the workshop, accompanied by nine discussion sections. The abstracts for the talks are available on the workshop webpage. The workshop was held in Linsly-Chittenden Hall at Yale University.